Steven Massey is the man behind Massey Plug Ins, a collection of some of the best audio tools for the ProTools DAW. I have been using his L2007 Mastering Limiter since I demoed it and quickly discovered why it is the “gold standard”. 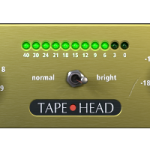 One of the artists that I am working with heard a demo of his “Tape Head” plug in on his track and fell in love with it..so we bought it. There was some confusion (on my end) about the plug in account and email delivery and Steven resolved it immediately. I am just as impressed by his customer service as I am by the quality of his plug ins. We have also purchased his CT5 Compressor and VT3 EQ. I have a feeling that we will eventually own all of them. My only complaint is that they are only available for Pro Tools…I wish I could use them on my Logic rig.